Leather lace up style ladies padders shoe. Sizes 3-8 inc half sizes. 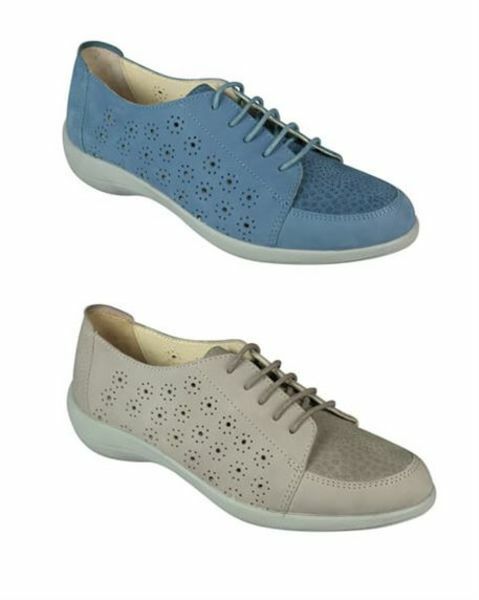 Ladies comfortable soft leather lace up style shoe with contrasting toe panel from Padders. Lightweight man made sole.